Bangalore, December 26 2016: Tata Docomo, the unified telecom brand of Tata Teleservices Limited (TTL), is now offering customers across Kerala an all new bouquet of “Unlimited Calling Plans” with unlimited STD and Local calls priced as low as Rs. 148. The unlimited calling plan provides pre-pay customers unrestrained voice bandwidth both within and outside of the network coupled with 3G data (on select packs) at the best available market rates. With the new free Calling Plans, Tata Docomo customers are set to enjoy unlimited STD and Local calls for 28 days to any network along with 5GB of 3G data at Rs. 348 (across all circles) and 2GB of 3G data at just Rs. 298 for 28 days. In addition to these plans, Pre-pay subscribers can also avail limitless STD and Local calls plus 500 MB of 3G data for 14 days at a price as nominal as Rs 148. Apart from these plans, customers will also benefit with unlimited on-net calls for 28 Days at only Rs 103 thereby enabling them to connect with any Tata Docomo customer across India. With multitude of voice and data benefits for its customers, Tata Docomo has designed these all new pre-pay plans to help its subscribers enjoy more talk time and stay connected with their family and friends while enjoying higher data limit for faster internet browsing. 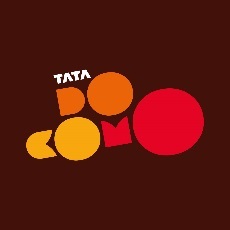 Tata Docomo has always introduced customer centric products which are not only favourable but offer maximum benefits to the subscribers and allow them to stay connected on its superior network. The company’s constant endeavour has been to introduce exclusive customer-focused plans. With its mantra of “open up” the company defines its focus on playing an enabling role in simplifying consumer lives by driving conversations rather than connections.